Water is the source of all life. Jean-Marie Massaud has developed a bathroom concept that is at one with nature. The faucet becomes a waterfall. The towel rack, a branching tree. The bathtub, a lake. Item Boxed Weight: 1.87 lbs. 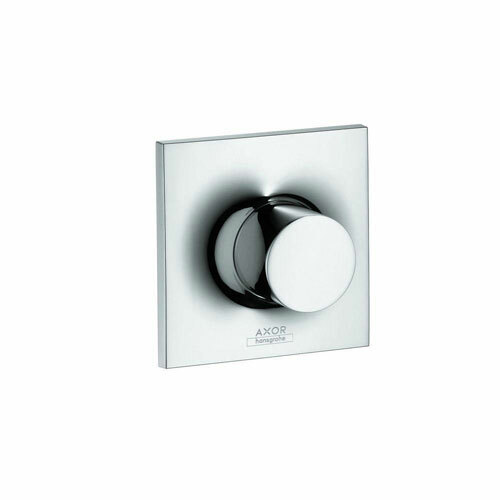 Established as HansGrohe's premier line in 1993, Axor continues to produce a bathing experience like no other. Their visions and designs are achieved through close collaboration with internationally renowned and award-winning designers such as Philippe Starck, Antonio Citterio, Patricia Urquiola, and Jean Marie Massaud. Reflecting lifestyles of today and trends of tomorrow, Axor creations are as varied as the people for whom they are made. Their innovative style caters to those who demand architectural originality, enduring quality, and respectful use of water. While proudly gracing top-class hotels, elite office buildings, celebrity homes and luxury yachts all over the world, Hansgrohe has also constantly wowed critics at recognition events. It is the recipient of the prestigious 2013 Red Dot "Best of the Best" award for design, along with one of the most coveted awards, the 2012 Design Awards of the Federal Republic of Germany in the Product Design category. Indisputably, these bathrooms are works of art offering a tranquil and intimate space for cleansing and rejuvenating the self. These products aim to breathe fresh life into bathrooms and encourage a new way of looking at how water is used.